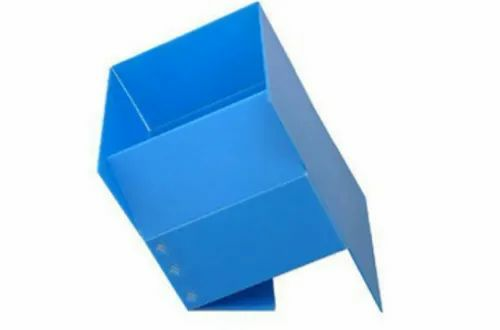 We produce reusable polypropylene boxes which are manufactured from superior quality pp sheets that are non toxic, flexible, stiff and long lasting. These polypropylene box can be customized as per the demands of our customers. Our range of Polypropylene Boxes is available in diverse designs and specification and is developed by using latest production technology. We make use of advanced bonding technique to glue together the PP to make the boxes. This method is a step ahead of the traditional ultrasonic and interlocking tabs. These are manufactured in our state-of-the-art manufacturing facility, using the technologically advanced equipment.